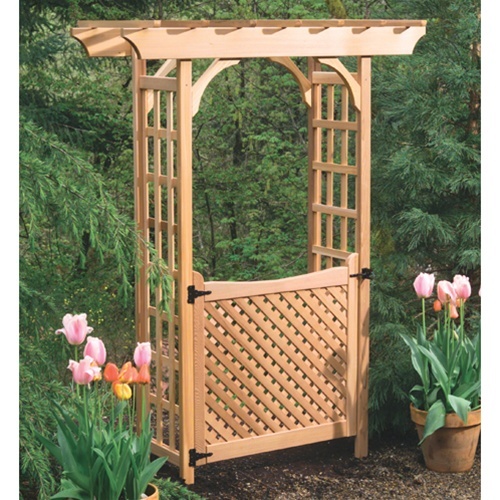 Garden Gate for Arbor | Free Shipping! Price is for gate only. Arbors are sold separately. 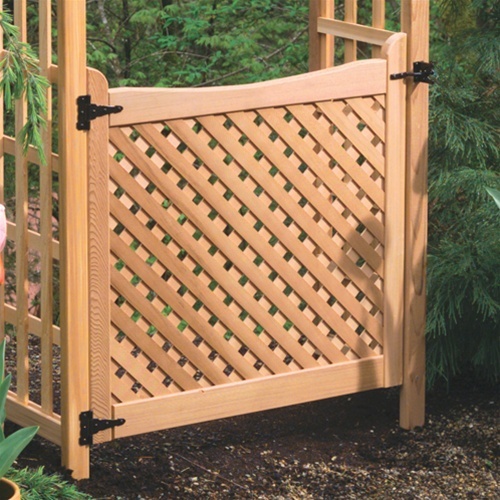 This 36" Garden Gate is designed to work with our Rosedale, Glendale, or Victoria arbors (each sold separately) to create a handsome and welcoming entrance. Crafted of durable Western Red Cedar, this gate will provide many years of service in your yard. Western Red Cedar is a naturally pest resistant and decay resistant wood that is known for its exceptional weatherability. 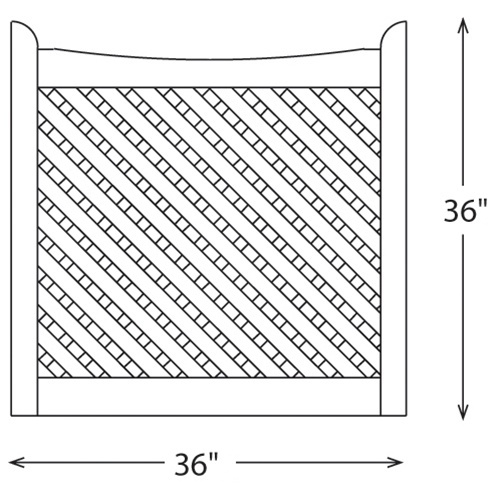 Shipping carton dimensions: 44" x 37" x 2"
Prior authorization and RGA # required for returns. Only salable merchandise in full, original cartons may be returned. All returns are subject to a 20% re-stocking charge.